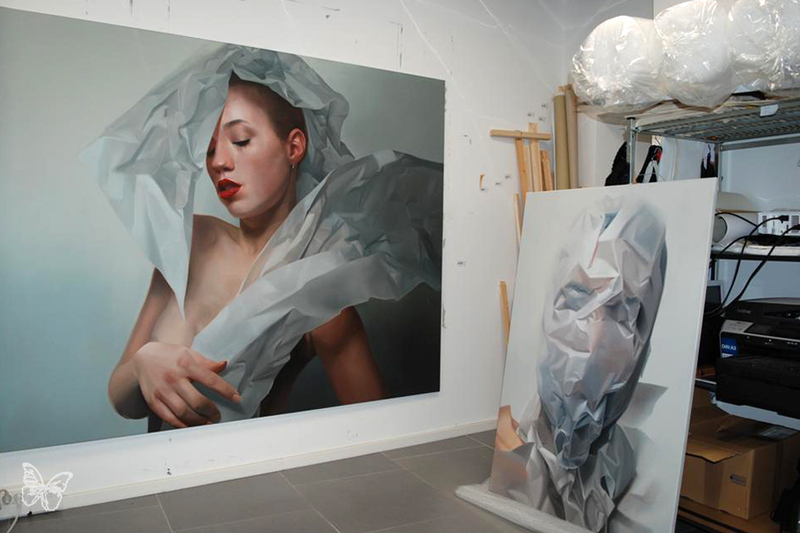 We recently visited the studio of painter Mike Dargas as he prepares for his upcoming solo show at Opera Gallery in London from 6 – 20 July (curated by Jean-David Malat). Born in 1983 in Cologne, he started drawing and making paintings with oil paint from a very young age. 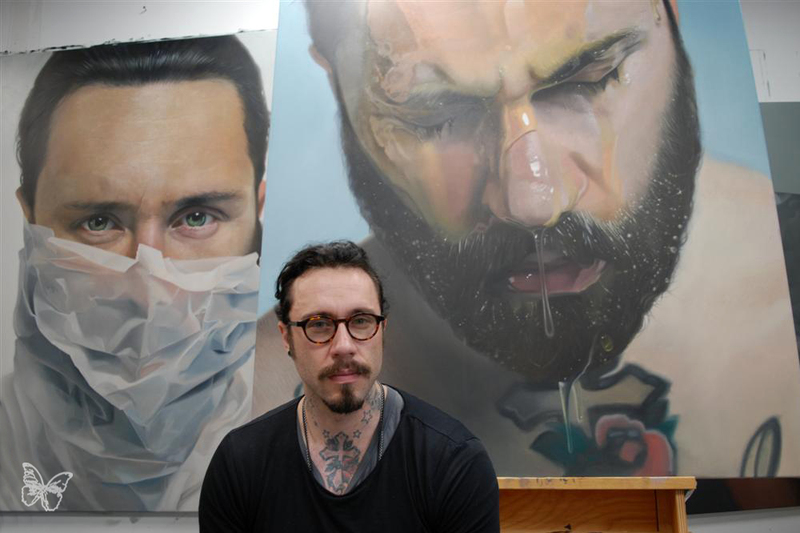 In his early twenties, the German artist built himself a solid reputation in the tattoo scene and won numerous prizes and awards. 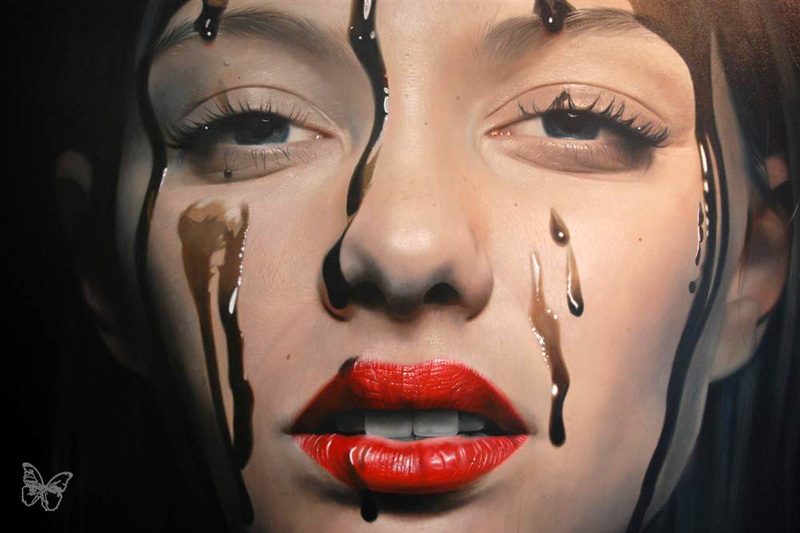 Drawing his inspiration from masters like Dali, Caravaggio and HR Giger, Dargas studied various techniques and since his youth developed a passion for realism, which he narrowed down to hyperrealism over the years. A first look at the artworks can cause the viewer to easily mistake them for large scale photographs. 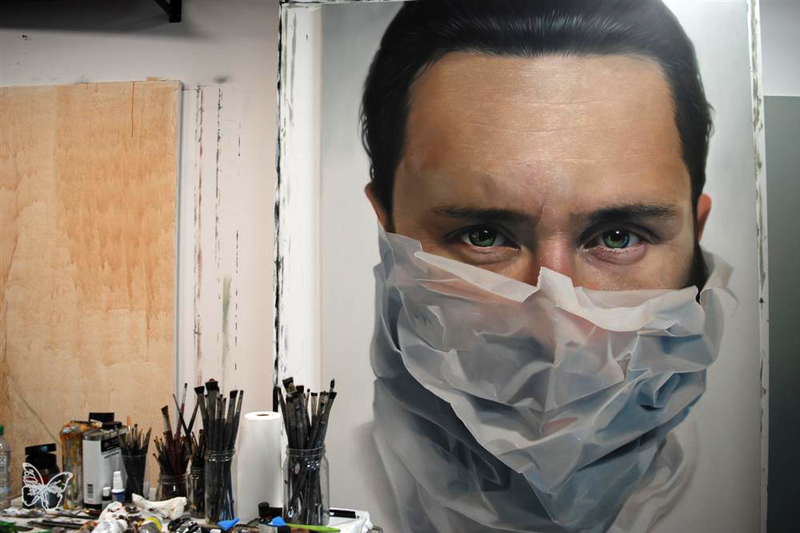 Years of practice mastering the oil painting has enabled him to create portraits with very intricate details. Dargas’ love for precision, in an almost obsessive manner, brings models to life under the brush stroke and draws one into a dreamlike world where time has suspended. Like photography, the Cologne-based artist loves to play with shadows, focus and depth of field to create mesmerising works. 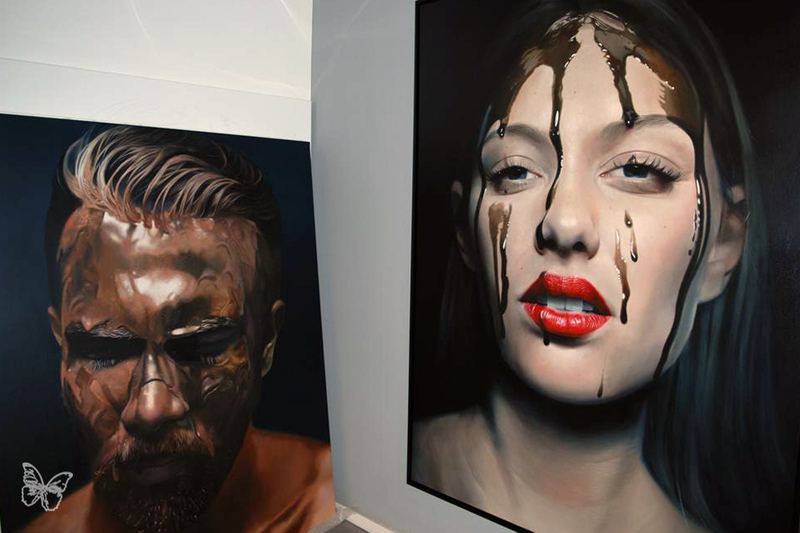 In his liquid-series, the photorealism of the dripping effect on the faces of his models is breathtaking and exults in sensuality. 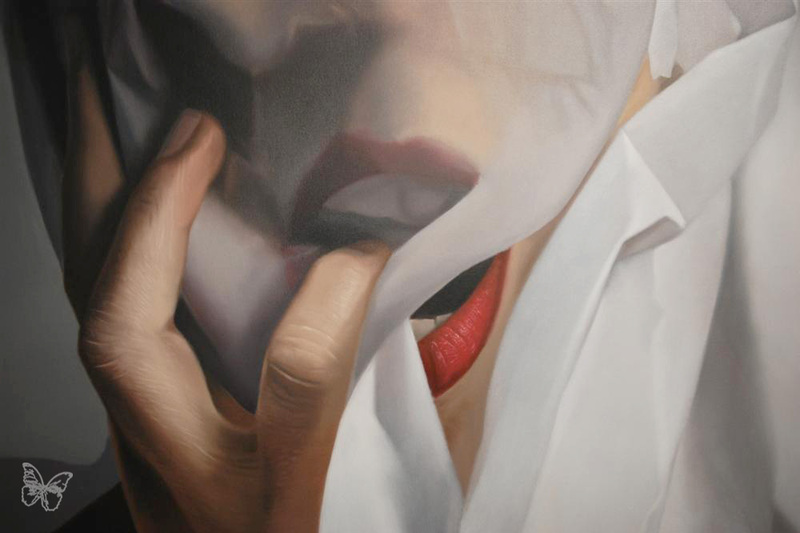 He studies his female and male subjects with such intensity, that each portrait is a profile of increasing intimate closeness, with striking liveliness and expression. 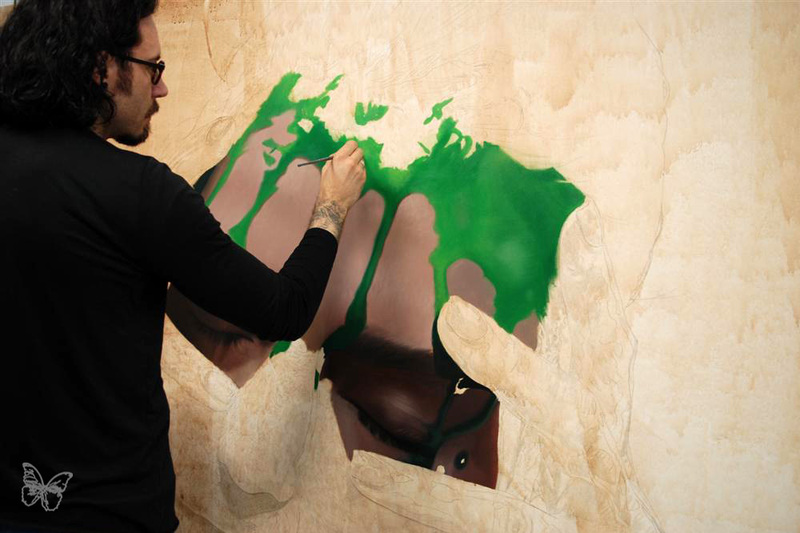 Categories: Contemporary Art, Shows & Events, Studio Visits. 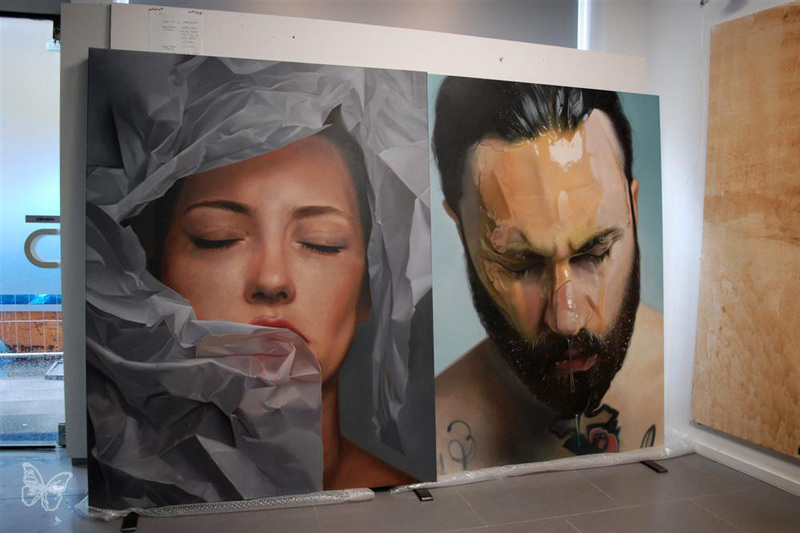 Tags: Contemporary Art, featured, Features, Mike Dargas, slider-featured, Studio Visits.